For many Americans, homeownership is a vehicle for wealth—an appreciating asset that, more often than not, earns a profit at resale. In the market today, homeowners are all but promised to reap the rewards. 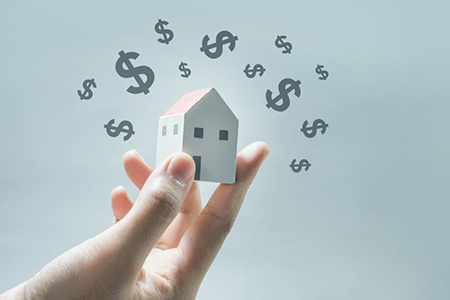 According to an analysis recently released by Zillow, appreciation is so healthy that homes in many markets are producing more than a job for minimum wage would. Although the average homeowner is earning $7.09 in equity for every hour spent at work—16 cents less than the federal minimum wage—homeowners in half of the 50 largest markets are earning more in equity than their local minimum wage. The analysis assumed eight-hour days, or 2,087 hours of work per year. “As home values continue to rise at a rapid clip, many homeowners have earned more in home equity over the past year than they would have by working a minimum wage job—and in some areas, more than they’d have earned even if they had a job paying a six-figure annual salary,” says Aaron Terrazas, senior economist at Zillow. The areas earning the most are on the West Coast: San Francisco, San Jose and Seattle. In San Francisco, appreciation has been $60.13 per hour worked; in San Jose, $99.81; and in Seattle, $54.24.